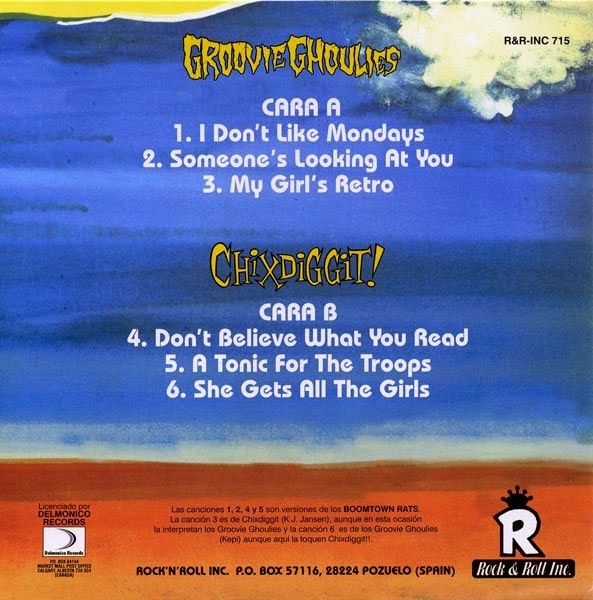 The long weekend comes to a close with this, the final Chixdiggit single. 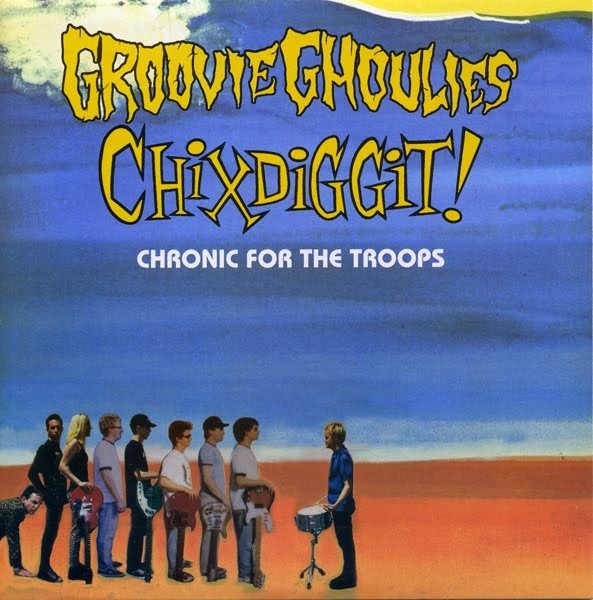 This one's a split with California's Groovie Ghoulies, whose bassist Kepi Ghoulie has (we think) filled in on the Chixdiggit lineup at least once. Both bands are covering each other and the Boomtown Rats on here, which is kind of fun. CCPS Miscellany: Grand PooBah - Think?